Exclusive Content: Beorn’s House from The Hobbit: The Desolation of Smaug. Exclusive from Warner Bros. and Denny’s, a look into the set and making of Beorn’s house. This was one of my absolute favorite parts of the book when I was a child. I am very excited to see how it is portrayed in the movie. The link to the video is here. New Hobbit: The Desolation of Smaug Sneak Peek! Just released from the Hobbit Fan Event, this three-minute sneak peek consists of many bits of new footage that will have your inner hobbit squealing in delight! (I should know!) Featuring glimpses of Boern, Bard the Bowman, Azog, Smaug and many others, this fantastic compilation reminds us of how close we are the premiere! (38 days!) A link to the Youtube channel is here. Now bask in the glow of this sneak peek of The Hobbit: The Desolation of Smaug, coming to theaters in America on December 13, 2013. LEGO The Hobbit: The Desolation of Smaug Trailer! BrotherhoodWorkshop has taken the amazing teaser trailer for The Hobbit: The Desolation of Smaug and come up with a fantastic LEGO version! I didn’t this trailer could be anymore amazing, but they had to come along to prove me wrong. Go check out their Youtube channel! Now sit back and bask in the wonderful LEGO The Hobbit: The Desolation of Smaug – Teaser Trailer! 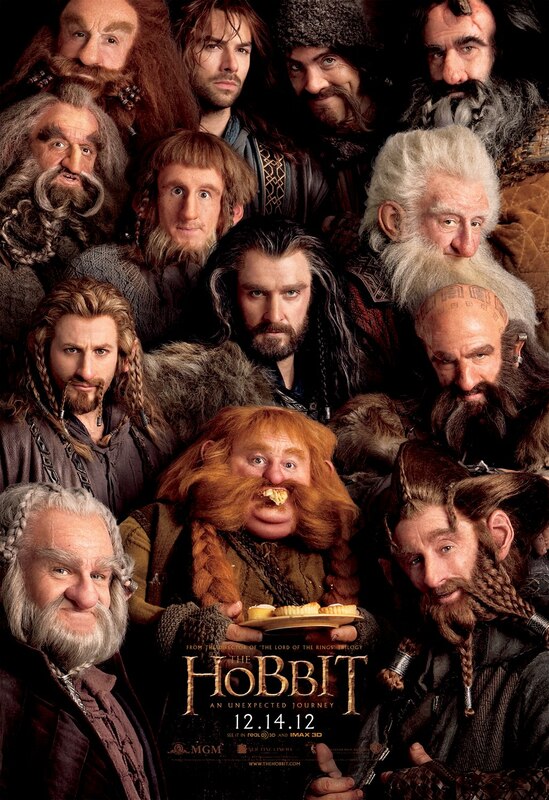 The Company of Thorin Oakenshield…Made Adorable! This was just begging to be shared!!!! So cute!!!! I sadly could not find the creator of this amazing work, but you can find this picture and many more on the page “Gandalf, Why you no let me pass?” Go and like them on Facebook!!!!! Now enjoy the cuteness! !